Click a photograph for an enlarged view. 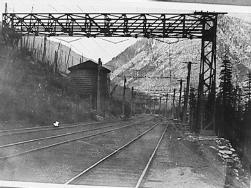 This view looks east in the early 1900's. 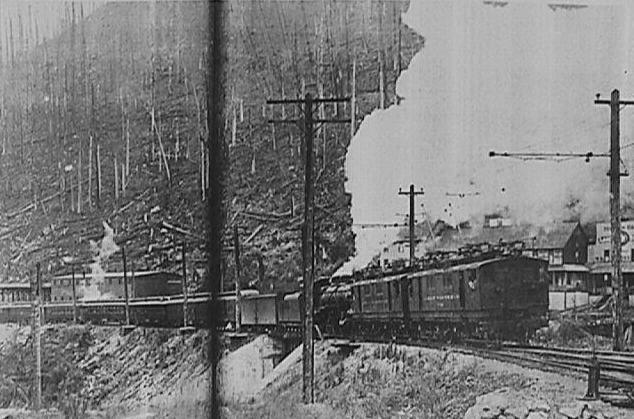 A passenger train is stopped at Wellington depot. The tall building in the center is the Bailets Hotel. The horizontal scar on the hill in the background is an old switchback line from the first crossing of Stevens Pass in 1893. 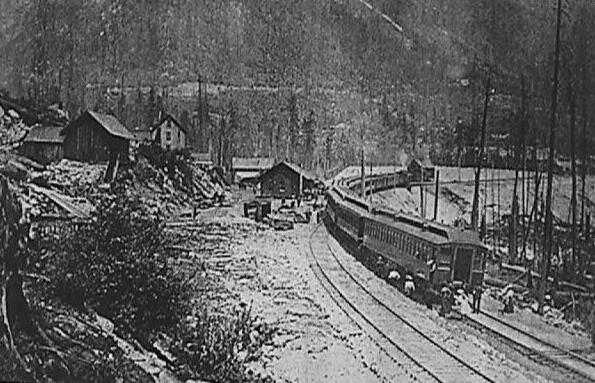 View looks west in 1909. 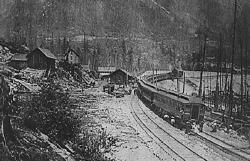 A passenger train is led by 2 electric engines to pull through the 2.6 mile Cascade Tunnel. 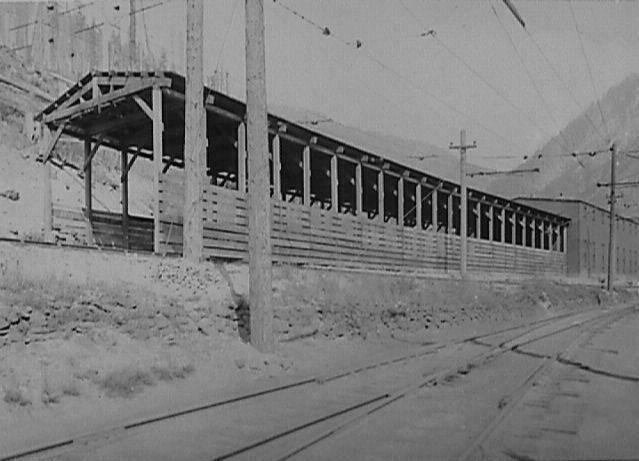 The large building at the back is the rotary and electric engine shed. 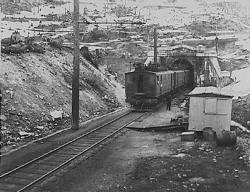 The Bailets Hotel is seen on the right behind the electric engine. 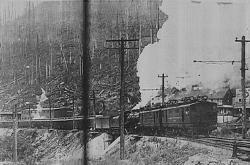 The concrete bridge wing walls, below the locomotive, are for Haskell creek. The wing walls are one of the few remaining remnants of Wellington that can be found today. 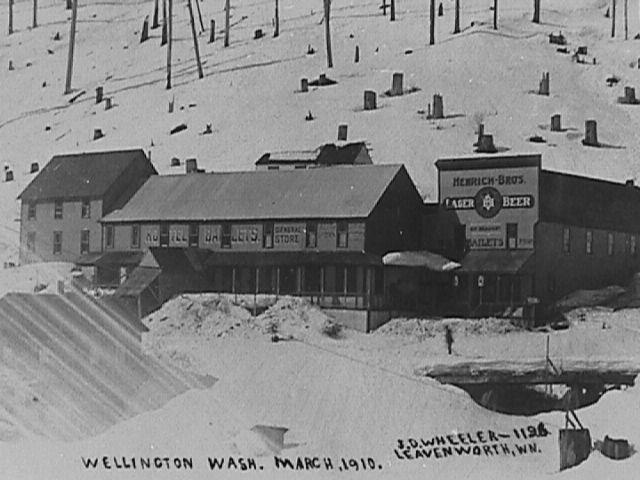 The west end of the 2.6 mile Cascade Tunnel at Wellington, Washington. 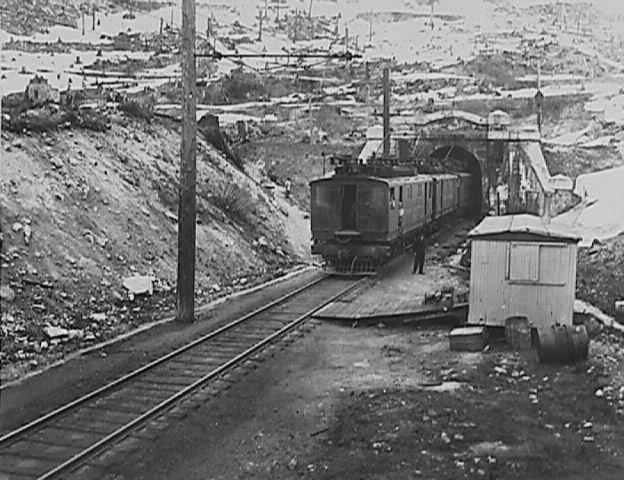 Electric engines were used starting in 1909 to pull steam engines through the tunnel due to steam exhaust filling the tunnel. The electric motor and rotary house at Wellington, Washington in 1909. The structure was 300 feet long. The water tower at Wellington, framed by a catenary bridge. This view is to the Northeast. 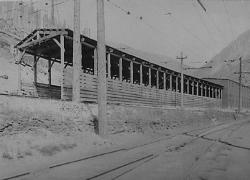 The town is just about one-half mile away following the tracks. A rotary snow plow and crew posed at the coal chute one half mile west of Wellington. The plow was pushed into snowbanks and the rotating blade would cut the snow and throw it to either side of the bank. 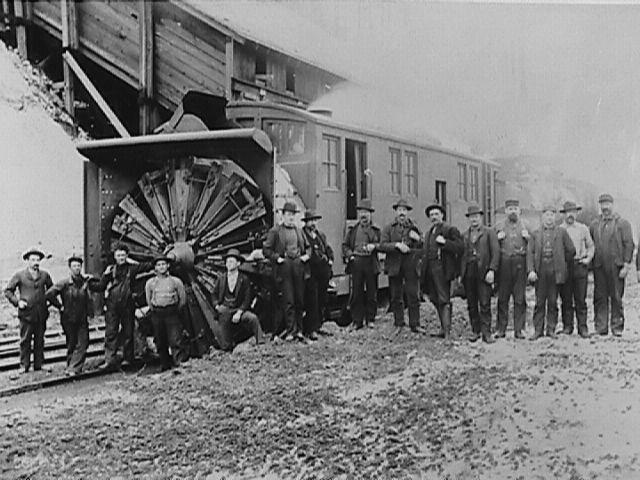 The large crew was needed to operate the associated steam engines and to remove large rocks and trees from the snow. The Bailets hotel at Wellington. On the right is the pool hall / tavern. The hotel had a general store, post office and rooms.